Hi loves, I am back for another beauty review! Today I am gonna share with you a jelly based Aloe Vera product I have been using lately. 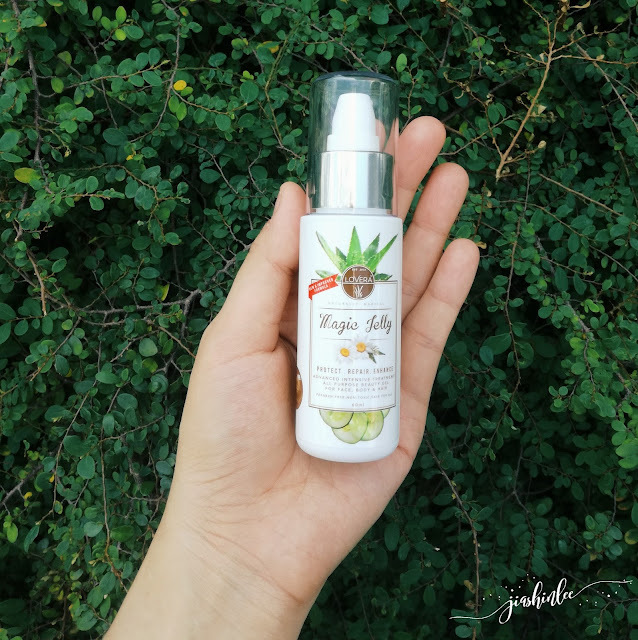 Aloe vera is one of my favorite skin care ingredients because of its endless benefits! Magic Jelly by L’OVERA features an aloe vera gel based formula to protect, repair and enhance the skin. It is ideal to use it in your daily beauty regime, the Magic Jelly acts as a great moisturizer with its ability to soothe and moisturize your skin without leaving your skin greasy. It is also an extremely useful product because it can be used on every part of your body including face, body, and hair! Magic Jelly by L’OVERA is 1st of its kind in Malaysia, it is manufactured by a GMP Certified Factory and with KKM approval and Halal Certificate from JAKIM you can spread this magic jelly from head to toe without any speck of doubt! Personally, I love gel based products, I have dry + oily skin and after years of trying out moisturizing creams, gel based ones are the best! The Magic Jelly by L’OVERA lightweight texture that doesn't leave my skin oily the entire day, the fragrance was also very pleasant and most importantly I did not experience any discomfort during my usage. 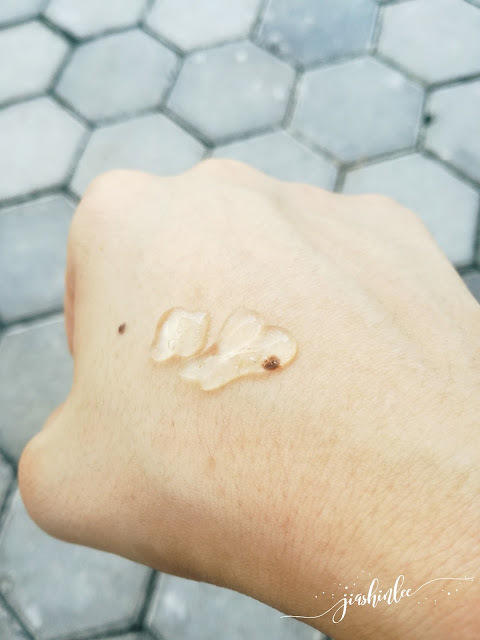 Magic Jelly by L’OVERA is a wonderful product, this is a product I will recommend to keep a bottle in your makeup bag because it can be really useful when you need it. It's also great for kids as well, I use it on my daughter after going to the pool to soothe that sunburn, I also use it for my eczema, the cooling effect soothes my skin and recently I have been using it even more often because I just did a laser treatment and the cooling sensation is so soothing and it works wonders when I wanted to reduce the redness on my skin. Magic Jelly by L’OVERA is priced at RM70 for 60ml. It can be purchased online via Lovera Malaysia's website.